Ahmedabad in Gujarat on Friday was formally accorded the status of India's first World Heritage City with UNESCO Director General Irina Bokova handing over the certificate in this regard to Chief Minister Vijay Rupani. On July 8, India secured the nomination for Ahmedabad on UNESCO's World Heritage list during the 41st Session of World Heritage Committee. India now has a total of 36 World Heritage Inscriptions -- 28 cultural, 7 natural and 1 mixed site. 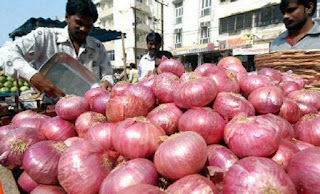 A central processing centre for shallots (small onions) has come up in Tamil Nadu’s Perambalur village. The Common Food Processing Incubation Centre was set up at a cost of ₹1 crore to prevent wastage of shallots and to increase farmers’ income, said Harsimrat Kaur Badal, Food Processing Minister, who inaugurated the centre on Thursday. The centre will produce fresh shallot, peeled shallot, onion powder, onion paste and onion flakes. 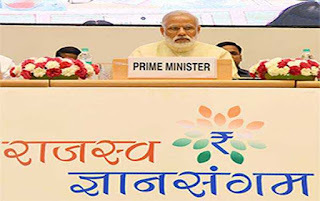 Prime Minister Narendra Modi inaugurated the annual conference – Rajaswa Gyan Sangam, 2017 in New Delhi today. He will address the tax administrators during the conference. The Conference has been jointly organised by the Central Board of Direct Taxes (CBDT) and the Central Board of Excise and Customs (CBEC). Finance Minister Arun Jaitley and Ministers of State for Finance Santosh Kumar Gangwar and Arjun Ram Meghwal will also be present on the occasion. The Civil Aviation Administration of China on Friday announced the opening of the country's first test-flight base for civilian drones in Shanghai. 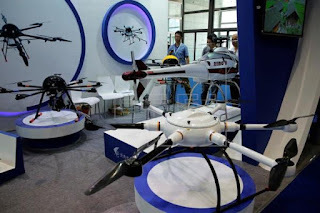 The base, located in the district of Qingpu, will provide service to thousands of unmanned aerial vehicles (UAV) in a country where private drones have become very popular, reports Efe news. Drones in China are required to fly at a height below 150 metres and all test flights to be monitored for safety reasons to avoid obstructing air operations. According to the Aircraft Owners and Pilots Association of China, there are over 120,000 registered drones in the country. China has approximately 500 drone manufacturers, controlling almost 70 per cent of market share. The use of UAV, initially used in videography, for recreational purposes, security and agriculture, has expanded dramatically. 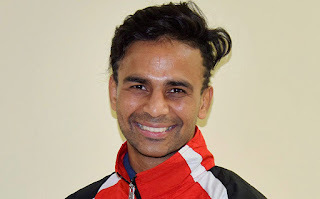 Gaurav Bidhuri completed his dream debut at the AIBA World Boxing Championships with a bronze in the bantamweight category (56kg), becoming the fourth Indian ever to win a medal at the global meet. Bidhuri, who hails from Delhi, lost to another debutant, 19-year-old Duke Ragan of the US in the semifinals in Hamburg on Thursday, settling for bronze -- India’s only medal from this edition. The 24-year-old Bidhuri, who has been struggling from a back injury for almost six months, was happy to return home with a medal, which came after a lot pain and struggle the last few months. 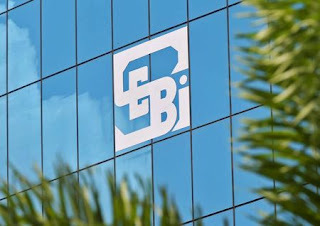 Markets regulator Sebi barred Orion Capital as well as Orion Broking and their partners from the securities markets for 10 years for failing to redress several investor grievances pertaining to non- settlement of funds due to the clients. The nature of investor complaints received against both the firms are predominantly on non-settlement of the funds and securities and balances due to their clients. The claim amount is more than Rs 6 crore against Orion Capital and over Rs 4 crore against Orion Broking. Besides, the two entities closed their business without any prior intimation to their affiliated exchanges or to their clients. Amazon announced a partnership with the Akshaya Patra Foundation to implement the Karnataka government's 'Ksheera Bhagya' Scheme in the city, wherein schoolchildren would be provided a glass of milk each five days a week. After Nasim Zaidi retired as chief election commissioner (CEC) in July, there was a vacancy in the Election Commission. While Achal Kumar Joti is the joint CEC, Om Prakash Rawat is the other election commissioner. 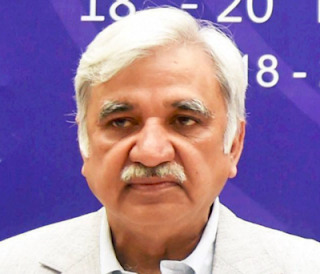 A 1980 batch IAS officer of the Rajasthan cadre, Arora has worked in ministries and departments such as finance, textiles and planning commission. Senior IAS officer Rajiv Mehrishi, who retired as the Union home secretary on Thursday, is likely to be appointed as the next Comptroller and Auditor General of India. He will take over from Shashi Kant Sharma who was appointed CAG in 2013 and was to demit office on turning 65 on September 25. The government also appointed Rajiv Kumar, a 1984 batch IAS office as secretary, department of financial services in the finance ministry. Kumar, who has previously worked with the department of the ministry as both joint secretary and additional secretary will take forward the government’s agenda on bank consolidation.